In this post I am giving a valuable mantra for general headaches. I hope readers will be benefited. Procedure: Start reciting this mantra when headache starts. Keep on reciting this mantra till the headache subsides. It works fast and usually headache goes off even before the 108 recitations of the mantra are over. Note: The audio of this mantra can be downloaded from this link. gaurav sir, mujhe ek stone dharan karna hai kis stone ko karu? maine panna pahina hua hai? Apke liye sabse achha stone hai panna. This is last attempt of ias exam, kindly help , my d.o.b 24:01:1983, time is around 9 Pm, place : Village ugu ,teksil safipur, district-unnao,u.p. 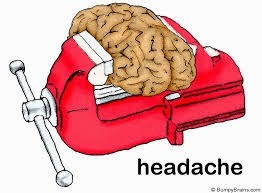 (Sar Dard ka Mantra) Does it also work for Migraine head ache? Guru ji,My son is 3 years old his name is U.Nirajith he born on 07 Jun 2012 in Chennai.He started to speak from his 9 month and he spoke very well and active till 1.5 years old.After that he slowly stopped his speech.I feel there is some black magic did by the neighbours.Kindly find solution for this. sir I love someone but my parents want to broke up with him by black Magic . sur what can I do to recover from black magic?